For a Viking there are many pathways to glory. You can invade and pillage the land for its rewards, crush your opponents in battle, fullfill quests, or even die gloriously. Players draft cards representing gifts from the gods that will help them in their quest. These gifts offer many strategies, aiding you in battle, providing cunning tactics, or punishing those who defeat you. Upgrade you clan with mighty Vikings, unique abilities, or even recruit legendary creatures from Norse mythology to fight at your side! When the world ends, only glory will be remembered. This game is in my top 10 of favorite games and possibly the best game Cool Mini or Not have produced. 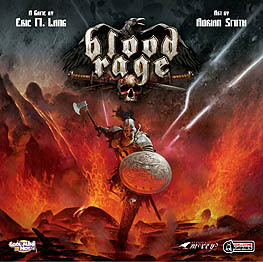 The game play is fantastic the components are of high quality. This is highly recommended to have in anyone's games collection.